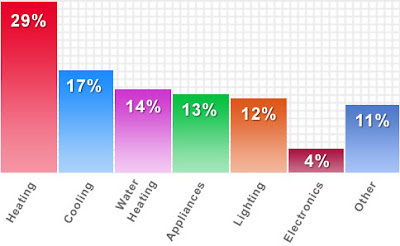 Did you know that an average household spends 29% of their energy bill on heating? Having a well sealed door to prevent cold draft in the winter time will definitely help lower that heating bill. It may be a good time to double check all your exterior doors for proper fit and closure. A few of our popular single doors are available at The Home Depot for purchase off the rack at affordable prices. If you need a door that is 36"x80" and like the door style, you can pick up your new door to install the same day. So, how do you find out more about the stock doors offered at your local store? 1. Go to www.homedepot.com/ and select your store. 2. Under 'Shop all Departments', select Doors. 3. Then choose Entry Doors and look for Feather River Door Company on the brands listed on the left. 4. You'll get a list of different doors offered at your local store (see below). Simple enough to try, right? Check it out today! If you're considering replacing your door, why not take advantage of the tax credit that is set to expire soon? For a very limited time, you can get up to $1,500 Tax Credit for purchasing energy saving products for your home! Don't hesitate too long. The door has to be installed by December 31 to qualify. Improve your Home, Be Green & Save Money. Can you believe it is October already? As we look forward to bundling up and drinking apple ciders to keep us warm in the cooler months, we should also spend a few moments to prepare our homes for Fall, too. Drafty door can raise your utility bill as temperature drops, but with a little maintenance, you can keep your house energy efficient. 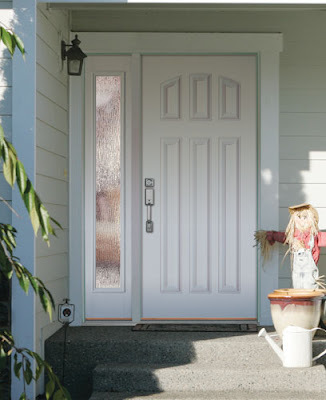 Front door plays a crucial role when protecting your home against the elements. Look to see if your door closes properly and if it lets in any drafts. Check the weather stripping for any gaps around the door that can allow heat to escape. If the problem isn't easily fixable, it may be a good time to replace your front door. 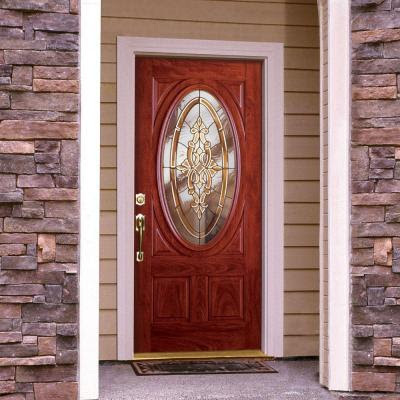 When choosing a front door, pick a durable material that will not rot such as fiberglass. Not only does Feather River Door's fiberglass door not rot, it does not dent or rust in extreme conditions and offer increase insulation due to it's foam core.